A group of participants at the Montevideo conference, with Wilson in the middle! Five GOJoven fellows attended the First Regional Conference on Population and Development in Latin America and the Caribbean in Montevideo, Uruguay, this August 12-15, 2013. 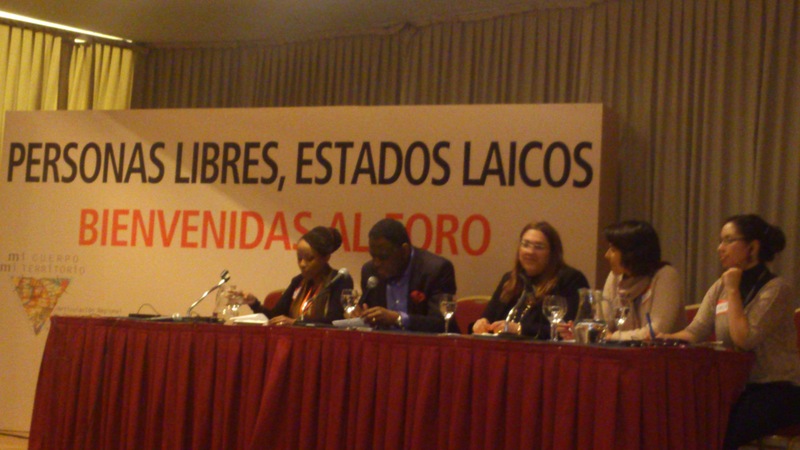 The conference was organized by the United Nation’s Economic Commission for Latin America and the Caribbean (ECLAC). 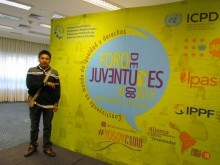 Attendees from GOJoven were: Wendy Aguilar and Gabriela Flores from Honduras, Wilson Campa and Ingrid Galvez from Guatemala, and Nancy Leiva and Stephen Diaz from Belize. Before the meeting itself, Fellows took part in a political advocacy training session organized by IWHC, Resurj, DAWN and the Youth Coalition. 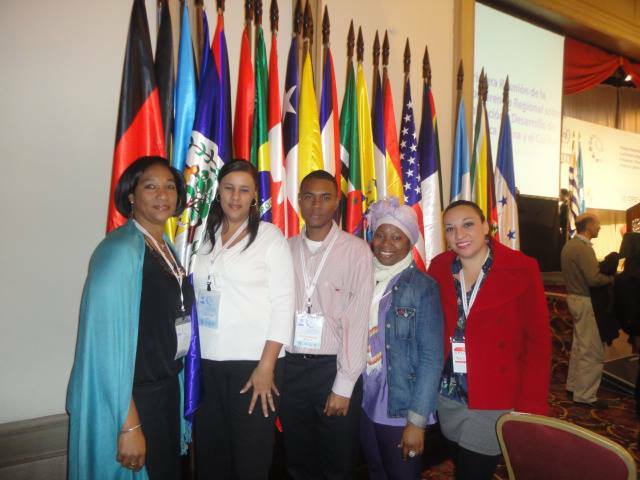 During the training, participants studied which delegations represented Caribbean or Latin American governments during the ECLAC conference. Participants in the training analyzed the CAIRO+20 resolution, and selected topics that needed to be revised and modified in order to be approved at the ECLAC conference and the delegation debates. When revising and adapting the resolutions, participants focused on: gender equality, universal access to SRH services, the rights, needs, responsibilities, and requirements of girls, boys, adolescents and youth, and the rights of indigenous women and Afro-descendants. 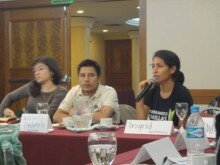 Participants joined an official group (communications, political advocacy, language, or monitoring). Each group had separate responsibilities for during and after the conference. Nancy and her co-delegates kept in communication with people who were not able to participate in the debate because they weren’t members of the National Delegation. 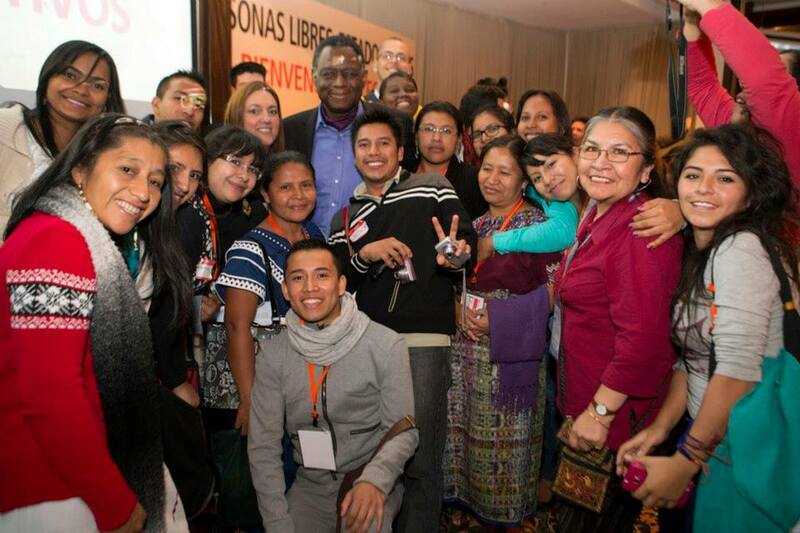 Thanks to this internal communication, these groups were able to advocate for youth, women, and other marginalized groups’ rights with the most conservative National Delegations. 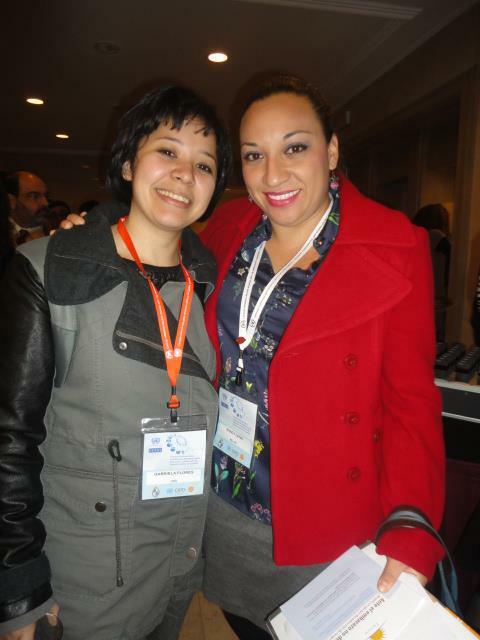 For Ingrid Galvez, being able to influence the discourse was one of the most important achievements of the conference. Participants used carefully chosen terms, for example, sexual rights and reproductive rights were separated into two different entities. 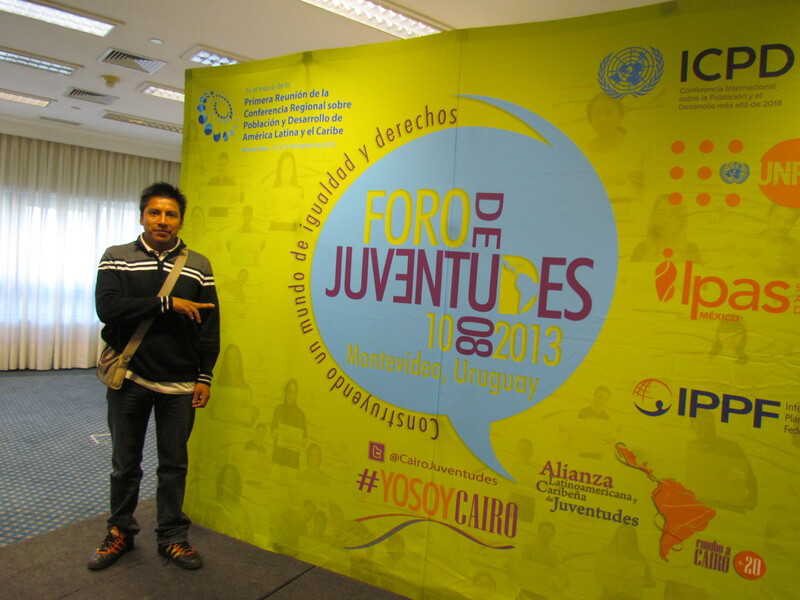 The document that came out of the conference was the Montevideo Consensus on Population and Development. For the most part, the GOJoven Fellows were pleased with the consensus although some conference participants felt it lacked certain stipulations. For example, it did not include the abolishment of forced sterilization of women in the Caribbean, nor the decriminalization of homosexuality. Furthermore, the document gives each government the right to choose whether to execute, or not, any part of the consensus, according to that country’s laws and legislation. On the other hand, the consensus does contain several stipulations that consider sexual rights and reproductive rights in a more comprehensive way. The consensus urges governments to revise their abortion laws, given the evidence of maternal mortality related to clandestine abortions. The consensus also mentions access to friendly services for youth, respect for confidentiality, and coercion-free decision-making regarding reproductive health and expression of sexuality. 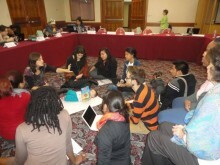 GOJoven Fellows plan to disseminate the information and tools they picked up at the conference through GOJoven’s national networks. 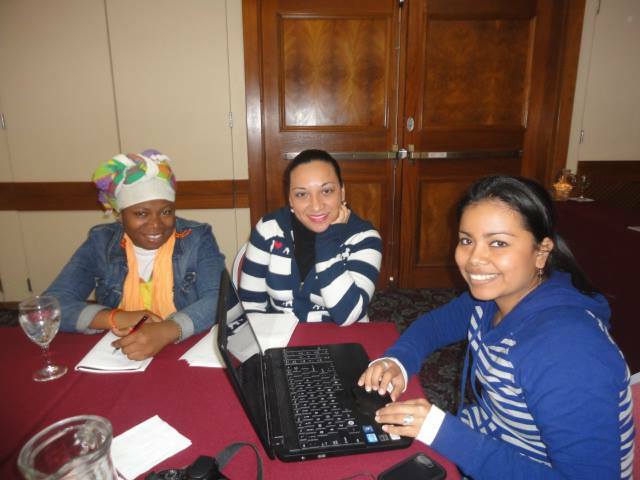 In Belize, Nancy will share the advocacy strategies she learned at the conference with the GOBelize network in their October 2013 political advocacy training. They plan to use the media, including radio and TV shows, to carry out their advocacy strategy. In Guatemala, Ingrid and Wilson are also planning to share lessons from the conference with Guatemala’s national GOJoven network. At the conference, they saw the tools they took away used practically to great effect, and which will need to be included in GOJoven’s own advocacy plan, as ways to strengthen the organizational structure, increase legitimacy, negotiation capacity, appropriate language, visualize problems and the tools to overcome them, and to increase the sense of teamwork. Wilson is also a member of the promotional group for the CAIRO+20 resolution at a national level; on August 23rd, they will create an action plan to monitor the agreements reached by official government representatives and how the agreements from the ECLAC conference are implemented. Thanks to their participation in this meeting in Montevideo, GOJoven Fellows became more aware of the opportunities available through their national networks, and that they are working towards the same goals. They know that it will be important to establish alliances, and increase GOJoven’s visibility among other organizations, decision-makers, and donors at a national and regional level.